What would you do if you thought you were cloned from the blood on the Shroud of Turin and the scientist who performed the experiment twelve years ago was pursuing you? Joshua Davidson has never known his father. He’s always lived with his mother Maria and she never spoke of his father. When Maria spies a man from her past, she blurts out that the man might want Joshua because he was part of an experiment, but doesn’t have time to explain the rest of the story. Joshua’s active imagination goes into high gear and he begins to believe that he is a clone from the blood on the Shroud of Turin. As Joshua continues searching for his true identity, the man from his mother’s past appears to be stalking him. Will Joshua find out who he really is? And if he does, will it change his life forever? 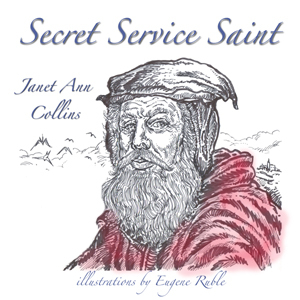 In this chapter book for tweens, Janet Ann Collins weaves an imaginative and engaging story around a well-known artifact and comes up with a winner. The Peril of the Sinister Scientist brings the reader through Joshua’s journey of discovering his true identity while trying to avoid what the boy sees as imminent danger. Suddenly Joshua finds himself doing things that he never has before. While The Peril of the Sinister Scientist is fast-paced and mysterious, there are also moments where Joshua, as narrator, allows the reader to connect with him and the difficulties of not knowing who you are or in being uncertain what you should do next. This book also explores the various relationships Joshua has with others and how those people help him through his journey. 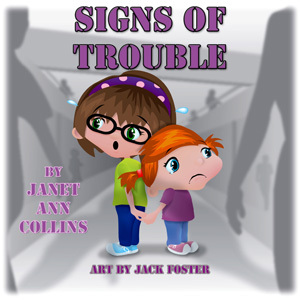 The Peril of the Sinister Scientist by Janet Ann Collins is an exciting adventure that many readers will enjoy. It also includes a set of discussion questions at the end, making it a good book club choice. SRP: $7.95 for PRINT, other prices available at the Guardian Angel website. The Kids Book Connection Got Tagged!!! A talented author named Linda Thieman over at the Katie & Kimble blog tagged us today! That means that I have to play tag by answering a few little interview questions! Then I have to blog tag someone else! So, here are my answers and here are the bloggers I am tagging! I guess I’m it! By the way, we reviewed the first two Katie & Kimble books here, so take a look at what they’re all about (Book 1 and Book 2). 1. Which words do you use too much in your writing? If I could just stop using “just” when I’m writing I would just be thrilled. 2. Which words do you consider overused in stuff you read? Tags such as “she said”, “he replied” and “she asked”. Arg, give me an action tag for crying out loud! Kids are smarter than we give them credit for. Unless we’re talking books for children under the age of three, they’ll figure it out. 3. What are your other favorite blogs? There are “just” so many! 🙂 I’ll have to limit myself to three. 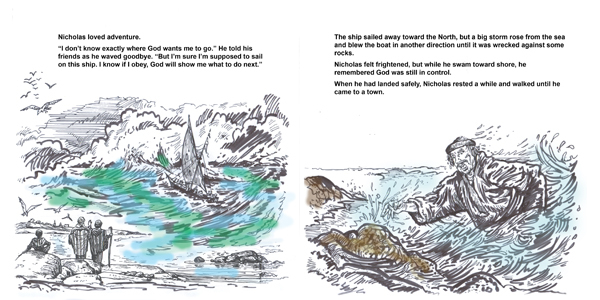 Hook Kids on Reading by my friend and fellow G.A.P. author Margot Finke. 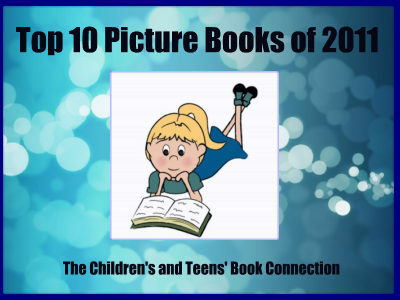 If you have a reluctant reader or know one, you need to check out this blog! Just a Mom’s Take on Things by Deb Steenhagen. In addition to being an excellent virtual blog tour host for Pump Up Your Book Promotion, Deb reviews books and runs numerous contests and giveaways at her blog. You have to stop by there because it’s an amazing place! The Crypto-Capers Review by Renee Hand. Renee is one of my former clients, whose Crypto-Capers books we’ve also reviewed here. This is an engaging and fun interactive children’s detective series where readers solve cryptograms to help the detectives solve the crimes. Renee has spent the summer visiting libraries, reviewing children’s books, and creating Book 3 in the Crypto-Capers series, which is coming out soon. You’ll want to stay plugged in to her blog so you don’t miss the new release! “Plethora”, meaning to be full or to have an abundance of. I have a plethora of decorations for Christmas because it is my favorite holiday. “Union”, when it is coupled with the word “credit”, as in a credit union. I cannnot say these two words together. I worked at two different credit unions when I was in my 20’s, and I was never able to speak these two words clearly when answering the phone. A credit union is a financial institution where all the members are shareholders who have voting power. 6. What would you like to improve about your writing and/or blog? I would actually like to have more time for more own writing and to research interesting things to add here. 7. What’s your writing ambition? To use the gifts God gave me to bring enjoyment to readers. * The picture is of Hove Library in the U.K. where one of my fellow Little House on the Prairie chums works.